Written by teacher trainers, this book offers exemplar lessons alongside detailed exploration of what makes them good, and the theory behind them. 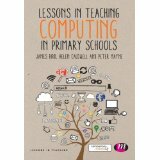 The text encourages you to consider the teaching of computing critically and to envisage how you can shape lessons for your own teaching. As well as providing an overview of subject knowledge, the book describes in detail what effective teaching of computing in primary schools looks like. Technical terms are defined in an accessible language and plenty of reflective questions are provided to get you thinking about how the lessons would work in practice. 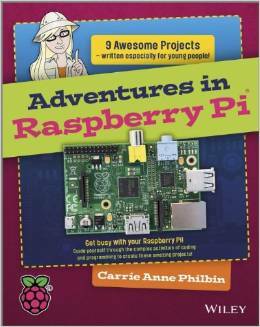 Carrie Anne Philbin provides step-by-step instructions for getting the most out of the Raspberry Pi. This is probably the best book out there for beginners, as it’s very easy to follow and provides clear colour diagrams all the way through. Although it’s supposed to be aimed at teenagers, I have used it successfully as my main text for lesson ideas with 4th and 5th Grade for a Raspberry Pi extra-curricular club. It has also been an invaluable text for my own subject knowledge. 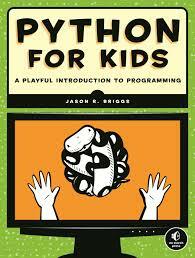 The book covers several fun activities, which include Scratch, Python and Minecraft. The author’s website also has helpful video tutorials for each project. 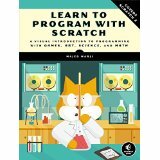 This book covers a lot of ground, as the author uses Scratch to explain the concepts essential to solving real-world programming problems. With clear steps, illustrations and meaningful coding challenges, I would say this is a very good manual on how to use Scratch. At 250 pages though, it is too verbose for most primary school children, but is ideal for teenagers and adults. I particularly liked the chapter summaries, which clearly explain the learning outcomes for each activity. As the title suggests, Python for Kids provides a fun introduction to Python programming with activities nicely suited for children from 10 years upwards. The author guides you through the basics, discussing all the concepts associated with Python in simple, child-friendly language. Each chapter ends with programming puzzles designed to challenge the reader and reinforce understanding. It’s just over 300 pages long, so it’s not a very light read. However, if you follow the book through to the end, you’ll have programmed two complete games: a clone of the famous Pong and “Mr Stick Man Races for the Exit” – a platform game with jumps and animations. This book is a personal favourite of mine and one that I happened to stumble upon while browsing in a bookshop in New York. 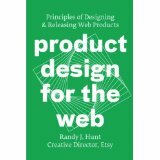 Product Design for the Web gets you inside the head of a product designer, helping you to understand how to create meaningful online experiences for web applications. It touches on all aspects of the design process of a modern web application, explaining the psychology behind certain design features. If you have an idea for a web application or want to better understand the success of applications like Facebook, I highly recommend this book . In particular, the section on “Carrots, Not Sticks” does a great job of explaining the importance of the user experience. I referred to this book many times when I was designing the interface for my web app, News on Atlas. Written by two of the UK’s leading technology experts, this book features fifty illustrated case studies of different software and hardware that can be incorporated into the classroom. All the ideas in each case study provide creative examples of technologies, explaining how and why they are used. The book contains particularly useful information about multimedia packpages, covering podcasting, digital storytelling and gaming. Although the title indicates that this is a book only for Teaching Assistants, the book is in fact useful for all teaching staff. Relevant information about all the main technologies used in today’s classrooms is clearly written about, including particularly useful information about how web tools sucj as blogs and wikis can be used. 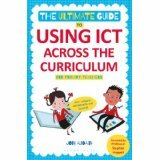 This book provides extensive information about ICT inside the classroom (e.g. interactive whiteboards, computer suites, VLEs and e-safety) and ICT outside the classroom (word processors, laptops, data loggers and digital cameras). I would say that this book is most useful for ICT coordinators, as it includes some thorough advice about the role and relevant information about assessment of the subject. The concept of ‘e-portfolios’ is explained well and the book makes a strong case for their use as ‘a way of realising the promise of technology to both improve and showcase student achievement’. 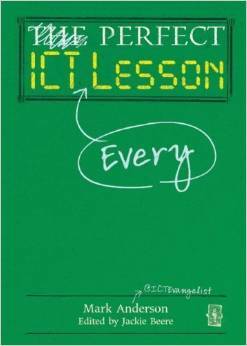 The front cover of this book may initially look a little misleading as though it’s looking only at “ICT lessons”. 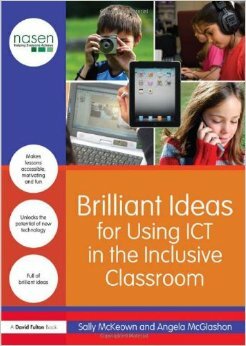 In fact, the book provides a range of good ideas for how ICT can be incorporated across the school curriculum. It is full of useful and accessible takeaway ideas for teachers working in primary, secondary and tertiary education for how ICT can facilitate the learning of students. The book discusses SAMR taxonomy (substitution & augmentation to modification & redefinition), using it as a framework in which to describe how technology can be used to provide richer, deeper and more extensive learning experiences in the classroom. This is a reasonably light read, and you can easily get through it in a few hours. Written primarily for trainee teachers in primary education, this book provides a thorough practical guide on how to teach ICT across the school curriculum. It also clearly sets out the rationale and expectations underpinning the new computing curriculum. 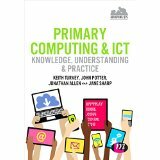 The Introduction chapter is particularly useful for explaining the similarities and differences between the new computing curriculum and the former ICT curriculum. 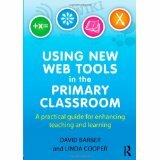 The rest of the book provides a good overview of the full range of technologies and applications that can be used in the classroom. Each section includes research summaries, case studies, reflective tasks and summaries of key points. I recommend this book as a useful reference text, especially useful for ICT coordinators. 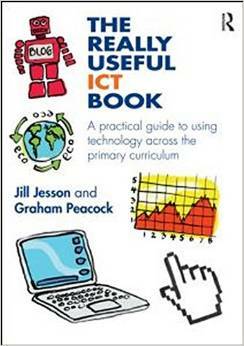 This is an easy book to read and it has many creative ideas for incorporating ICT across the school curriculum. It is aimed specifically at teachers in the primary school, providing specific examples of applications that can be used for each subject. 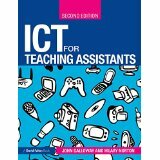 There are plenty of online links to useful resources, and I found chapter 11 to do a great job of explaining the role and expectations of ICT coordinators. Although this is a relatively small book, it packs in a lot of relevant information about the use of web-based ICTs in the primary school. It offers a justification for using Web 2.0 tools and explores practical ways in which technologies such as blogs, wikis, podcasting, media sharing and social networking sites can enhance teaching and learning. The book considers key issues such as how children learn, curriculum, policy, and children’s prior experiences of ICT. I found the case studies in particular, provided many useful nuggets of information. Reflective questions and tasks are scattered throughout the book to reinforce understanding. This book was one of my required readings while I was studying an MA in Digital Technologies, Communication and Education with the University of Manchester. It was a fascinating book to read and one that I refer back to often. 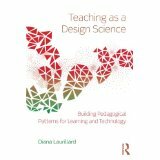 As its title indicates, the author makes the argument that teaching is now a design science and should be treated accordingly. Like other design professionals – architects, engineers, programmers – teachers have to work out creative and evidence-based ways of improving what they do. The book looks at educational technology through a very wide lense. Even paper is used as an example of a technology (pp. 210): ‘Its role is now so completely embedded, and it is so diverse in its benefits, and potential for even further benefits, that no-one begins to ask how “effective” it is.’ It provides a good grounding in educational theories in general with a particular focus on how these shed light on the way in which technology can and should be used in education.